Seagrove, a small town in central North Carolina, has been a home to potters since the 18th century. They were drawn to the area by two things all potters of that era needed: good clay and an abundant supply of trees for firewood to heat their kilns. These early potters primarily produced redware, an earthenware of soft, porous red clay which turns red, orange, or brown when fired. By the mid 1800s, however, many were also producing salt glazed pottery, using grey clay from creek beds requiring a higher firing temperature and the addition of salt to the kiln near the end of the firing. In this pre-industrial era most Seagrove area potters were farmers who earned a little extra income by producing wares that were sold regionally or traded. Most of their output was strictly functional and included pots, bowls, vessels, jugs to hold various liquids (including moonshine), and even roof tiles. A few added simple decorations to their pottery; most did not. The industrial era of the early 20th century made cheaper factory-made pottery available to American consumers. Faced with such competition and unable to compete with factory produced pottery, many potters, not only in Seagrove but nationwide, abandoned their craft. Some Seagrove potters hung on, however, and continued to create practical pottery made in the traditional manner. The modern era of Seagrove pottery began in 1917 with the arrival of a married couple from Raleigh, Jacques and Juliana Busbee, both artists who loved pottery. The story is that the Busbees traced an orange pie dish back to its source, which led them to the Seagrove area, about 85 miles west of Raleigh. Here they discovered potters who were producing not only orangeware and redware but also salt-glazed pottery. The Busbees recognized the local potters as true American craftspeople and set out to bring Seagrove pottery to the attention of a wider audience. With this goal, the Busbees founded Jugtown Pottery a few miles from Seagrove. Juliana moved to New York City in 1918 where she opened a store in Greenwich Village featuring pottery made at Jugtown. Jacques stayed at Jugtown to supervise production. The first potter hired by the Busbees was James Owen (1866-1923), grandson of Joseph Owen (1823-1905) one of Seagrove’s earliest potters. Note: Joseph Owen, the original Owen/Owens potter, spelled his surname without an “s.” At some point, one of his great-grandsons added an “s.” But all the Owen/Owens families of Seagrove potters are descended from Joseph Owen. James Owen died in 1923, two years after the Busbees opened Jugtown Pottery at its present location. He was replaced by Ben Owen, James’ nephew, and Charlie Teague, a potter from another well-known family of Seagrove potters. Both were young and ambitious; they worked together at Jugtown for ten years, until Charlie left to start his own pottery. With encouragement from the Busbees, Ben grew as a potter, re-interpreting the traditional forms of North Carolina pottery. He also was influenced by the pottery and ceramics of other cultures. Throughout the 1920s and into the 1930s, Jacques Busbee shipped Jugtown Pottery to Juliana’s successful shop in Greenwich Village. In time, thanks to Juliana’s efforts in New York, and the selling of Seagrove pottery in the nearby resort of Pinehurst, Jugtown and Seagrove pottery became known to collectors throughout the country as fine examples of traditional handcrafted American pottery. This recognition encouraged and revitalized the potters of Seagrove. Now Seagrove pottery was no longer simply utilitarian; it was collectable. This freed creative potters to produce wares with new designs and shapes, using a variety of glazes and, in some cases, more decoration. Some even produced the whimsical face jugs that are more commonly found in South Carolina and Georgia. Still other Seagrove potters produced a high volume of small identical pieces for sale in gift shops around the country. By the 1950s, Seagrove had become a destination for pottery lovers. Local potters began working together to promote the area by producing exhibitions and distributing maps of the potters’ locations. These promotions always emphasized Seagrove’s history as a pottery center. Renewed appreciation of American crafts during the 1960s, as well as the American bicentennial, stimulated more interest. New potters began moving to the area, working with traditional, non-traditional, and contemporary designs and glazes. Some apprenticed with local potters. Others were trained in ceramic programs at North Carolina universities and community colleges. In 1982, local potters began the Seagrove Pottery Festival, held Thanksgiving weekend and now running concurrently with the Celebration of Seagrove Potters. Today, Seagrove, a tiny town with a population of just over 200, is the center of a region that is home to almost 100 potters. Most welcome visitors and shoppers. There is a great camaraderie among Seagrove potters. As a group, they share a respect for Seagrove’s pottery traditions as well as an appreciation for a rural lifestyle spent among colleagues, friends and customers who share their love of pottery. On October 7, 2013, as part of the Folk Art Society of America conference in Raleigh, attendees will have the opportunity to travel by bus to Seagrove where they will visit four potters: Jugtown Pottery, Ben Owen Pottery, Crystal King Pottery and King’s Pottery. These four potteries represent two families, the Owen/Owens family and the King family. Jugtown Pottery is the original facility built by Jacques and Juliana Busbee in 1921. Jacques died in 1947, and in 1959 the pottery was sold to John Mare. Mare then hired as principal potter 18 year-old Vernon Owens, grandson of Jugtown’s first potter, James Owen. After Mare’s death in 1962, Vernon leased Jugtown until its sale in 1968 to Country Roads, Inc., a non-profit corporation involved in preserving American crafts. Country Roads, Inc. developed an important apprenticeship program at Jugtown. In 1983 Vernon Owens purchased Jugtown Pottery from Country Roads. Vernon and his wife, Pam, also a skilled potter, still own and run Jugtown, along with their son Travis and daughter Bayle, who are sixth-generation potters. The establishment of Jugtown Pottery in 1921 is probably the most important event in the history of Seagrove pottery. That it remains in existence today is a testament to the enduring qualities of Jugtown Pottery. The Jugtown Pottery complex includes a sales cabin featuring pottery made on site as well as other crafts from primarily North Carolina artisans. There is also a museum showing the history of Jugtown. Ben Owen III, owner of Ben Owen Pottery, is the grandson of Ben Owen Sr. (1905-1983), Jugtown’s principal potter from 1923 to 1959. Ben III, also a sixth-generation potter, learned the craft by apprenticing with his grandfather and his father, Ben Jr. Ben was a quick learner, and by age 20 he was an instructor in the Ceramics Department of Pfeiffer University. He continued his studies at East Carolina University where he received a B.F.A. in Ceramics. Ben has been influenced further by trips to Japan, China and Australia to study pottery design, glazes and techniques. Ben Owen Pottery is on the site of his grandfather’s pottery and is owned and operated by Ben and his wife LoriAnn. Ben has added a modern showroom connected to his grandfather’s original log cabin that is now a museum featuring pottery made by the Owen/Owens family and works that Ben has collected on his trips to Asia. Ben Owen III and Vernon Owens are two of North Carolina’s most renowned potters. Any trip to Seagrove should include a visit to their potteries, located in the area of Busbee Road, and highway 705, known as Westmoore. There are also a number of other potters in this area. Terry and Anna King, owners of King’s Pottery, are lifelong residents of Seagrove who apprenticed with longtime Seagrove potters Walter and Dot Auman. The Kings began working for the Aumans in 1985. There they learned all the traditional tasks involved with running a pottery: mixing clay and glazes, turning pots, glazing, and loading and firing a wood-fired kiln. Anna has also worked with Charlie Owen, Ben Owen Sr.’s brother. The Kings opened their own pottery in 1987. Although Terry and Anna produce functional and traditional pots, jugs, and bowls, they also create free-form folk pottery, face jugs, and grape-cluster pitchers. It is for these works that they have become best known. Anna also makes beautiful small decorative hooked rugs. Today King’s Pottery is located on Reeder Road, near downtown Seagrove, and includes several work areas, a kiln, and a fine showroom displaying the Kings’ pottery, Anna’s hooked rugs, regional crafts and folk art. The Kings are active and involved in North Carolina’s folk art community. Crystal King, the daughter of Terry and Anna King, runs Crystal King Pottery on Highway 705 south of Seagrove. As a child, Crystal began making small animals of clay which her parents would fire. This evolved into a unique style when Crystal began crafting more sophisticated animals and people. She is best known for her Biblical-based work such as Noah’s Ark, Adam and Eve and Daniel and the Lions. Her animals include zebras, mountain goats, sheep and turtles. Crystal also produces traditional pots, vessels and face jugs. She has exhibited at the annual Fearrington Folk Art Show, a highly regarded invitation-only show near Chapel Hill. Crystal King Pottery includes a large showroom featuring pottery by Crystal and her parents, as well as regional folk art and crafts. The showrooms here and at King’s Pottery both feature excellent examples of North Carolina crafts and folk art. If you visit Seagrove on your own, start at the North Carolina Pottery Center at 233 East Avenue in Seagrove. It showcases the work of many local potters and has both permanent and rotating exhibitions. Browse the gift shop and pick up a map of local potters. Admission is $2. Visitors can walk from there to several downtown galleries that sell local pottery, including the Museum of North Carolina Traditional Pottery and the Co-op of Seagrove Potters. A few potters are located downtown, but most are clustered on or near highway 705 South. Just hop in your car, head out of town and follow the signs. 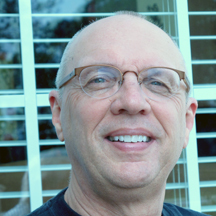 JAY ALTHOUSE, from Raleigh, N. C., is a composer and arranger of music for school performing groups. He and his wife, Sally, have collected folk art for almost 30 years.